"They are scattered and divided, but there is leadership, there are fighters there, there are helpers there," said General Joseph Votel, journalists traveling with him to the Middle East for his apology. Votel's comments underlined the testimony of National Co-Director of Intelligence Dan Coatos against Congress, President Donald Trump briefly disagreed. However, statements are made as US-backed fighters in the last place in Syria, where ISIS is still in control of the territory. 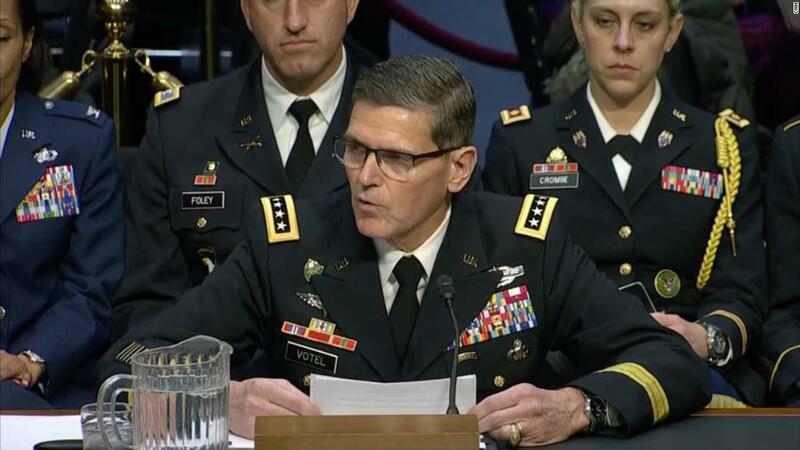 "I am very proud of the coalition force team we have on site and who are helping our Syrian Democratic partners who will struggle hard," Votel said. "Urban terrain, high explosive density in this area and presence of displaced persons and others trying to leave the territory." He added that operations have been resumed in the middle of the Euphrates Valley and are currently underway. Presidential Commands we are very clear. We understand exactly what he said, "Votel said. However, he also notes that US troops will continue to look for ways to keep pressure on ISIS and support SDFs without ground troops in Syria. He refused to propose concrete ways to achieve this. These comments were made when Votel started a two-week farewell tour before taking up the post of Chief Executive Officer in the US. His journey, like the US, is planning to pull troops from Syria, will include meetings with foreign leaders to thank for their support. After 39 years, Votel retires from the US Army.